Carrying out your own plumbing work in your home or business is a common source of headaches for any keen DIY-er. Whether it’s locating a burst pipe, unblocking a drain or a sealing a dripping tap, there are a few things you need to keep in mind to make sure you’re not causing more problems for yourself down the track. However, some jobs are simply best left to the professionals. Gas leaks, faulty hot water systems or a leaking roof can be downright dangerous to attempt alone. We’ve outlined the most common ten mistakes that DIY-ers make when carrying out their own plumbing work, how you can avoid causing more problems, and which tasks to leave to the professionals. Blocked drains can be a nightmare, whether it’s your shower drain, external sewers or stormwater drains. DIY-ers often attempt to dislodge any blockages with mops or hoses, but this can lead to bigger problems if the mop head or hose fitting becomes stuck. Even worse, using hydro jet equipment to clear blocked drains is not only dangerous, but it can cause further damage to your pipes and drains. Power drain cleaning equipment should only be operated by a trained, qualified plumber who will understand the likely routing of your concealed underground drains. If you’d like to tackle a blocked drain yourself, make sure to invest in the correct equipment; a pole-mounted plunger from a specialist plumbing supply store often does the trick. Even a small one can be worth having on hand for those minor blockages in the kitchen or bathroom sink. If the problem can’t be fixed with a plunger, call in a professional to take a look. Leaking taps or fixtures can not only be annoying, but they can lead to thousands of litres of precious water wasted. The biggest mistake made by DIY-ers when it comes to leaking taps is failing to remove all pieces of a disintegrated washer or jumper when removing the tap body. This small error can allow debris to be flushed further into the supply pipe, causing additional flow restrictions. Further, this debris could then get caught in the new washers, causing damage to the washers and leading the tap to leak all over again. When repairing a leaking tap yourself, make sure you turn off all the water to the building before you begin, remove all pieces of disintegrated washer or jumper, and either replace or clean the “O” ring and clean the spindle worm drive with a wire brush and lubricate with silicone grease. If you need extra help, call in a professional to take the lead. In most cases, leaks in your toilet cistern are caused by general wear and tear. Attempting to repair a broken cistern with epoxy or glue to piece the broken parts together is not a long term solution; the parts need to be replaced and adjusted correctly to perform correctly. Always go to your supplier armed with the broken or old parts and a photograph of the inside of the cistern. They’ll be able to match the parts correctly to ensure your cistern is back up and running in no time. Making sure the parts are fitted and adjusted properly is critical; badly fitted parts in your cistern can cause more damage and, you guessed it, more leaks. If you’re not confident, call in a professional for peace of mind. Many burst water pipes involve old galvanised steel pipes that need to be taken out and replaced. It seems simple enough for a keen DIY-er; dig up the pipe, cut out the faulty section and insert a new short pipe connected with gland couplings. However, you need to take great care to prevent additional damage to the already weakened existing pipe while making the repairs. Any stress from fitting the new pipe into position can travel down the old pipe and cause concealed damage and further leaks along the underground piping. If you’re looking to replace a pipe yourself, make sure you expose the pipe completely; over-dig if you need to to allow for flooding of excess water, and try not to allow any floating debris or silt into the open cut piping system. This silt can travel further up the pipes and cause blockages in supply piping at taps, outlets and where pipes get smaller. If you’re ever in doubt, don’t hesitate to call in a professional plumber to carry out the repair for you. If your roof is leaking it might seem like a no-brainer to grab your ladder and climb up onto the roof to find the source of the damage. Think again! Take a moment to consider the huge risk you’re taking climbing up onto a steep or slippery roof; no leaking roof is worth risking an injury or worse. DIY-ers often attack a leaking roof with lots of silicone sealant, which in some cases can actually increase the instance of leakages where runoff gets trapped in the wrong side of a flashing. Any reputable plumber will insist that no-one, including their employees and customers, climbs up onto a wet roof if there is any risk of a fall. A professional plumber will make an assessment of where the leaks are by looking inside your roof space to find any points of water entry while the leak is occurring. The repair will be made when the roof is dry and safe to access. More than one visit may be necessary to truly repair the leak economically; a staged approach is often the best way to test each repair, and this often requires waiting through the next rain to see how the repairs weather the storm after each stage. 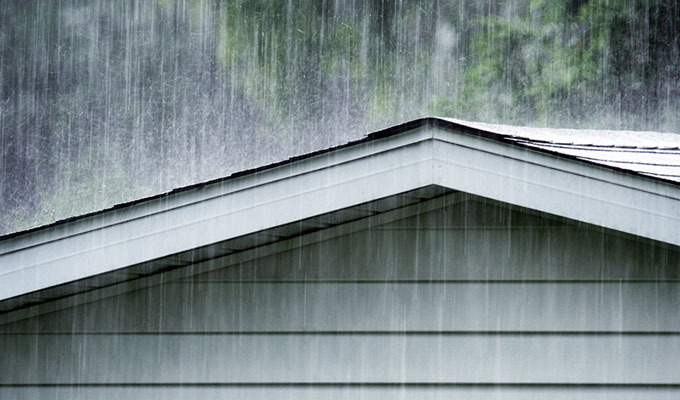 Finding and resolving a roof leak can be tricky; you should always seek professional advice. You can assist the professionals by noting down where you first noticed the leak, the weather conditions at the time of the leak, or any other damage that you noticed around the leak. Recently in Adelaide, we’ve experienced large amounts of rainfall in shorter periods of time. This puts stress on our roofs, gutters, downpipes and stormwater drains, as they’re coping with much larger volumes of water than is usual. This extra load can cause leakages on roofs that have previously been completely sound. An essential pre-winter, mid-winter and pre-summer home maintenance task, keeping your gutters clean is critical to ensure any rainwater can drain away, and make sure no dry debris is caught in the event of extreme summer heat and bushfire season. This also needs to include cleaning out your stormwater systems, sumps, pits and pumps if installed on your property. Cleaning your gutters can be quite daunting if you have a box gutter or two-storey home. It is very easy to fall or slip off a ladder while stretching to clean your gutters, especially if you haven’t done it before. If you’re not confident to climb up a ladder yourself, call in an expert to take care of it for you. If you’re going to take it on yourself, you need to make sure your ladder is safe, sturdy and placed on a flat, stable surface. Try to stay off the roof as much as possible, and disconnect or temporarily seal off intakes to any rainwater tanks while cleaning to avoid contaminating your tank water. Lift out debris from the gutter; don’t flush out with water running into the downpipes, as this can cause unwanted chokes or blockages in downpipes and connected stormwater systems. Cold morning showers are never welcome, so having your hot water system repaired or replaced is obviously an urgent matter. No attempt should be made to repair this yourself; a professional job is always best, not only for getting the best work done, but for safety reasons. There are a number of types of hot water systems in use in the Adelaide area, including solar, electric and gas energy sources, along with storage, continuous flow or instantaneous systems and heat pumps. Each unit has its own set of processes to determine the nature of the fault and the repair required. Electricity, water and gas in any combination are potentially deadly; for this reason, we recommend you always seek help from a hot water system repair and replacement specialist, such as Mott Plumbing. If you can smell the tell-tale scent of a gas leak, you need to turn off the supply and call for assistance immediately. Natural gas and LPG are both dangerous products and can cause serious injury, illness or property damage if not properly handled. To work on a gas service, you must be trained and hold the appropriate licensed; this is another task for the professionals only. If you have any fault involving gas services, call a trained and licensed professional, such as Mott Plumbing, to help. A licensed professional will carry out all repairs competently and safety, reducing any risk to your health and your property. There are many brave DIY-ers that have tackled a vanity replacement in their home bathroom. At face value, it seems simple enough: cap off water supplies, dismantle and remove the old vanity, and ensure replacement selections match the position of the existing connections. 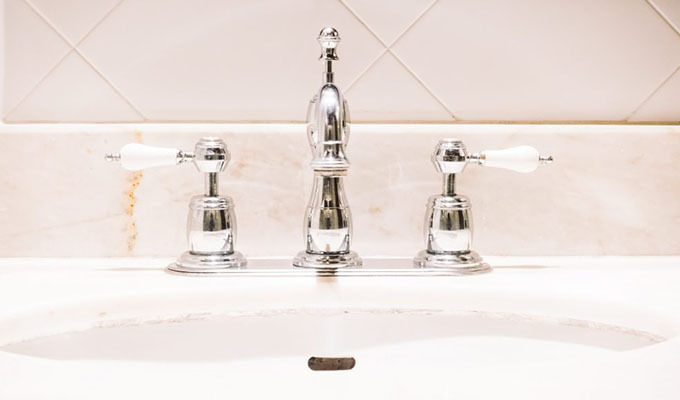 If you’re new to the job, make sure you take notes of your old vanity’s drawer or shelf placement; avoid water supply ending up behind the new drawers as this will make installation even more complicated than necessary. If you want to avoid any tiling work, check the height of the existing tiling and make sure your new vanity suits the area. 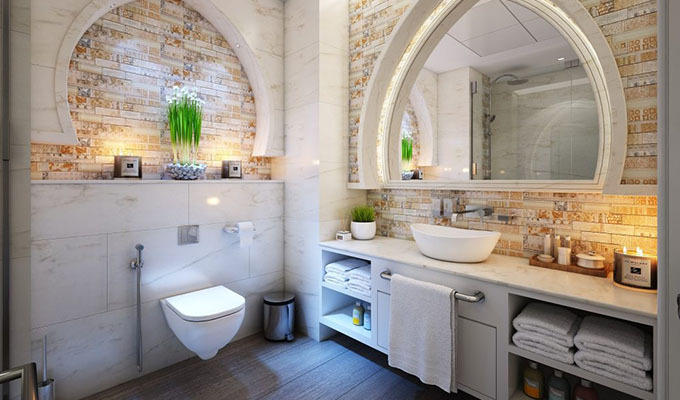 If you need any assistance with installing your new bathroom vanity, call an expert in plumbing and bathroom renovations. Replacing sanitary fixtures, such as toilets, can get quite complicated. Connection points don’t often align between the old system and the new system, and alterations can be messy and time consuming. When shopping for any new sanitary ware, take notes of the existing connection points to see if you can find something that matches; this could help to reduce the work required. If you do need a connection moved or changed, call in an expert for advice on how to best carry out the work. Mott’s expert plumbing team can install and connect your new sanitary ware, without the mess. 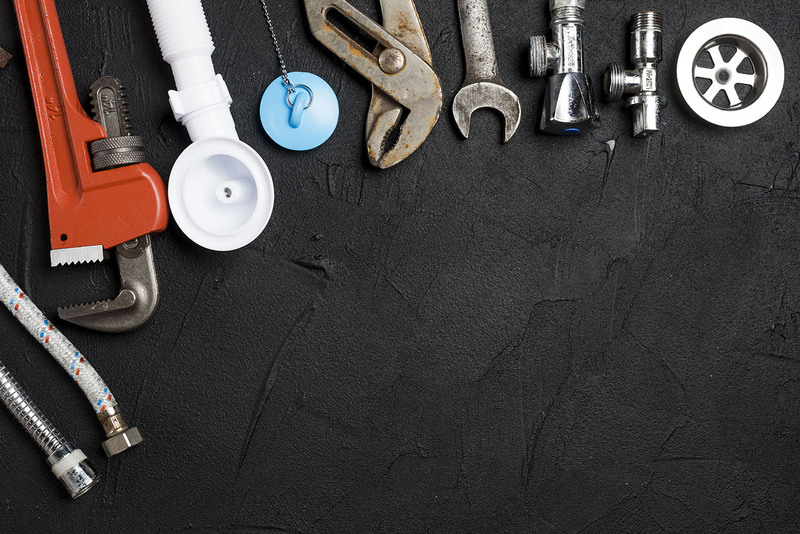 When it comes to DIY plumbing, it’s often a matter of safety first. More often than not, DIY plumbing jobs can be seriously risky to carry out on your own, even for the most experienced DIY-ers. By following some critical tips, or leaving the work to the professionals, you’ll eliminate the risk to both yourself and your property. For assistance with any plumbing, gas, hot water or fixture repair or replacement, call the professionals at Mott Plumbing.